Engage, empower and get your students communicating! This year, LFLTA is pleased to present a Pre-Conference Workshop on Friday, January 16, highlighting ways to get your students communicating. 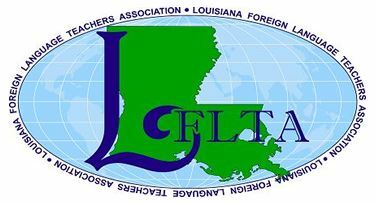 William Gautreaux from Riverdale High School will present introductions of, and classroom applications for TPRS. This Pre-Conference Workshop is free to members and is available to the first 40 members who sign up. If you would like to attend, please sign up below. If you would like to attend our Pre-Conference Workshop from 10AM-11:30AM on Friday, January 17, please complete the form below. Space is limited to the first 40 applicants. LFLTA is pleased to welcome Dr. Michelle Haj-Broussard as a featured pre-conference presenter on Friday, January 16. Dr. Broussard will present a workshop for immersion teachers from 10AM-11:30 AM. This workshop is FREE, but space is limited to the first 40 applicants. If you are an immersion teacher and would like to attend, please register below.